Every person who comes to our front door comments about how beautiful the new steps, door, and ESPECIALLY the railings look. 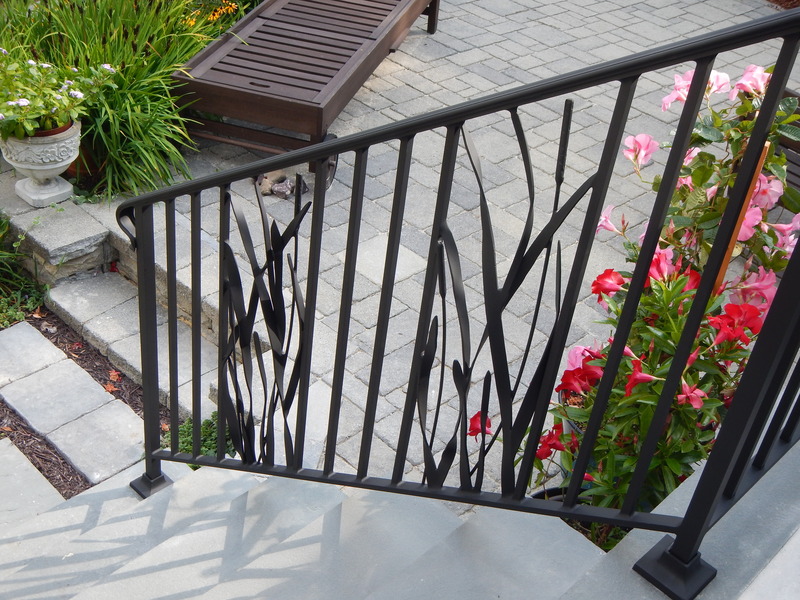 My brother-in-law, who is a high-end home improvement contractor in Seattle, said that he wished he had someone who did such wonderful iron work out there, he would use them on every job. That brought the whole family out to look, and they all agreed that you are clearly a company that takes pride in your work. We love that you made something specially for us – it is so lovely to have something you don’t see everywhere, that fits so well with our “woodsy” natural look here in northern Morris County. I’m attaching a couple of photos of the finished product, feel free to use them to showcase what a great addition you can be to even a ‘small’ job like ours. Thanks so much for being easy to work with and for taking the time to answer all of our questions along the way. This is no allegory! Feast your eyes. A work of art; this is why humans have been granted the sense of sight. 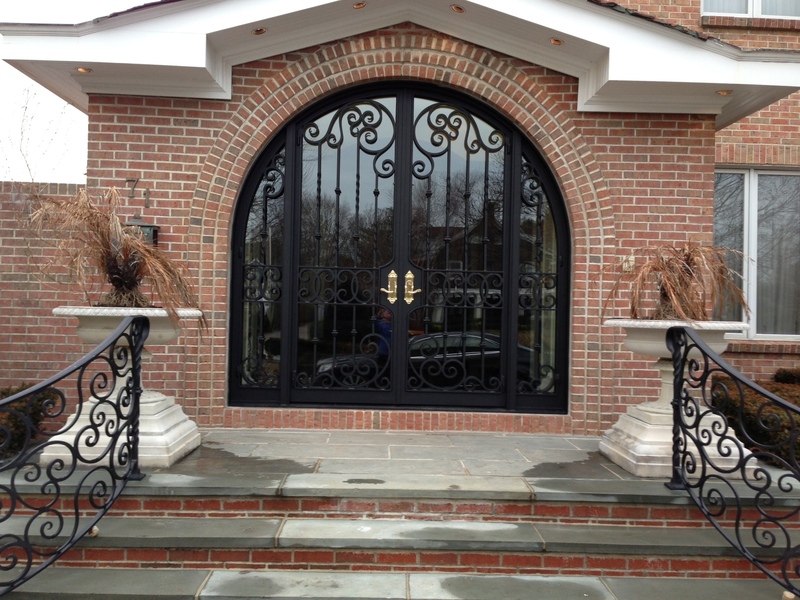 The railings look amazing! just the hue of grey that I wanted! It was more expensive than I expected but I realized how much work it involved to get them to look so good! Your son was very good at explaining! Well worth it! I truly appreciate your consideration to my 4th of July deadline and to the 300.00 we had pending. Have a wonderful holiday and thank you so much! Over the last month we have had at least 10 contractors do work at our home. You guys were far and away the best.